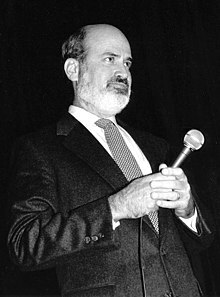 Terrence Malick was born in Ottawa, Illinois. He is the son of Irene (née Thompson; 1912–2011) and Emil A. Malick (1917–2013), a geologist. His paternal grandparents were Assyrian Christian immigrants from Lebanon and Urmia, in what is now modern day Iran. Malick attended St. Stephen's Episcopal School in Austin, Texas, while his family lived in Bartlesville, Oklahoma. Malick had two younger brothers: Chris and Larry. Larry Malick was a guitarist who went to study in Spain with Andrés Segovia in the late 1960s. In 1968, Larry intentionally broke his own hands due to pressure over his musical studies. Their father Emil went to Spain to help Larry, but his son died shortly after, apparently committing suicide. The early death of Malick's younger brother has been explored and referenced in his films The Tree of Life (2011) and Knight of Cups (2015). This page was last edited on 18 April 2019, at 11:32 (UTC).